Losing their leader and quarterback Ryan Tannehill to a knee injury for the entire 2017 season, the Dolphins managed to win only six games. Entering into his third year at the helm, Heach Coach Adam Gase will have the luxury of Tannehill back under center but is now without his leading rusher and receiver from last season. Displaying no faith in this year’s group, Vegas has set the Miami Dolphins betting odds very low. There are many holes in the Dolphins’ roster. Miami is not very deep, but they do have some talent that can carry them if they remain healthy. After missing a season, it will be interesting to see if Tannehill can prove critics wrong and bounce back in a major way. Running back Jay Ajayi broke out with a Pro Bowl 2016 season. While not as productive in 2017, he maintained a high level of play, rushing for 873 yards with both the Dolphins and the Eagles, after a late-season trade. The Fins will now need to navigate a full season without the young playmaker. They will turn to Alabama product Kenyan Drake who rushed for 644 yards in limited carries, averaging an impressive 4.8 yards per carry. Averaging 5.0 yards per carry in his two-year career, Drake has shown every indication that he can blossom into a productive NFL running back if given consistent carries. The Dolphins definitely need this to be the case if they are to improve upon their six-win season from a year ago. Jarvis Landry had posted back-to-back 1,000 yard receiving seasons before putting up a 983-yard effort in 2017, leading the team in targets, receptions, and yards. He has moved onto greener (yet much colder) pastures in Cleveland, leaving Tannehill without his most trusted target. Incomer Danny Amendola will help to fill that void. The 5’11 slot man hauled in 659 yards of Tom Brady passes in 2017, the most of any of his five years in Foxboro. A sure-handed possession receiver, Amendola will not be a down field threat for Ryan Tannehill. 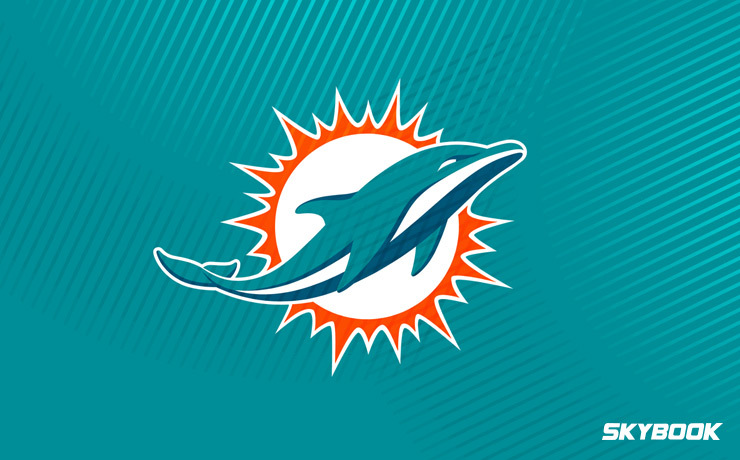 This is okay as the Dolphins are retaining both Kenny Stills and DeVante Parker. These were Miami’s #2 and #3 receivers in 2017, behind Landry. Each are very fast and more than capable of burning an NFL secondary. Although the loss of Landry seems like it would be devastating, Tannehill is now working with the most complete receiving corps of his Fins career. Trying to find someone who believes the Dolphins can make the playoffs this season is a tall task. Oddsmakers certainly do not, setting the Miami Dolphins betting odds for winning Super Bowl 53 at 100-1. Here at SkyBook, we pride ourselves on being the best NFL sportsbook for all your football betting needs. You can get game analysis, matchups, and injury reports for the Dolphins all season long right here. Remember that we have the best Miami Dolphins betting odds along with great bonuses that you will not find at any other sportsbook.